The Scoop: Located between Baton Rouge and New Orleans, Houmas House is a historic Southern plantation that opened its doors to the public in 2003. Now visitors can stop by for a tour of the grounds or an elegant dinner, or they can stay at the quaint cottages by the gardens. Thanks to its timeless beauty, Houmas House has also become a popular wedding venue where couples can tie the knot by the Mississippi River under the moss-strewn oak trees. The property owner, Kevin Kelly, lives in Houmas House with his dogs and takes pride in maintaining this picturesque space for visitors. New Orleans developer and big-thinker Kevin Kelly has taken on many construction projects in public warehousing, but he always knew one day he would branch out to create something truly remarkable. Buying and renovating Houmas House in 2003 was more of a passion project than a business decision. Kevin wanted to live on a Southern plantation and host parties and social events that would become the talk of the town. He envisioned himself as a 21st-century Great Gatsby bringing people together in Louisiana. 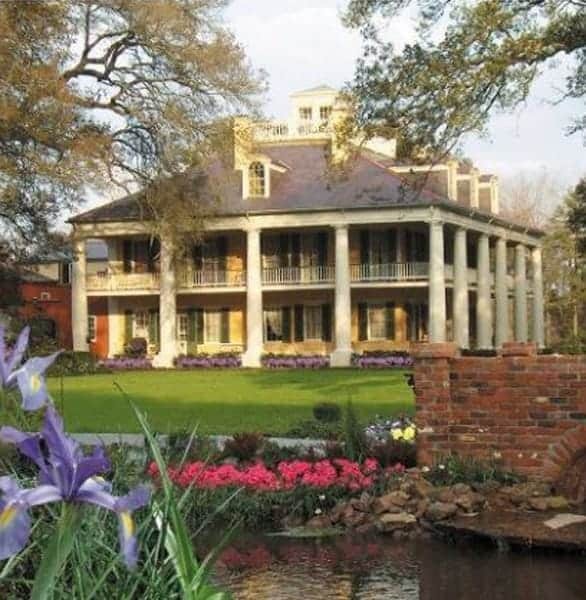 Houmas House is an enchanting wedding venue and date activity in Louisiana. As soon as Kevin visited the Houmas House Plantation, he recognized the property’s potential as an event venue. He made an offer that afternoon and started drawing up plans to turn the old family home into an eye-catching wedding destination and vacation spot. Early on, Kevin built a picturesque pavilion on the grounds at the request of his niece, who was planning a wedding and said Houmas House needed somewhere guests could go in case of rain. Kevin’s niece ended up being the first bride to get married at the renovated Houmas House. Today, the property hosts around 70 weddings a year and welcomes thousands of guests looking to get away from the hustle and bustle of the city for an afternoon. Houmas House has had a supporting role in many feature films, including “Green Book,” and even lent its romantic backdrop to “The Bachelor” in season 21. Producers and showrunners value the property’s timeless look and feel, and its beauty has also attracted brides- and grooms-to-be around the world. People come from all over to tour the grounds during its visiting hours (from 9 a.m. until 7 p.m.), and some couples have booked a wedding or special event on the property. Houmas House typically plans at least one but no more than four weddings in a weekend. The team spaces the events out so the guests have ample time and privacy to celebrate on the lawn, at the pavilion, or in the mansion. The property’s versatile indoor and outdoor venues can accommodate both intimate and large wedding parties. 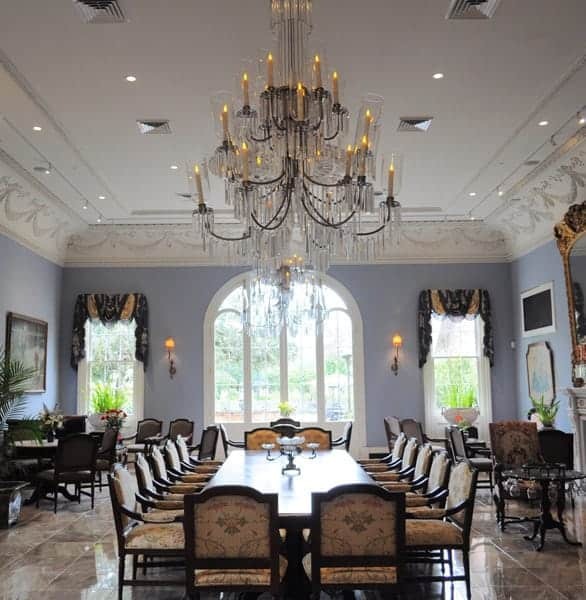 The candles, flowers, chandeliers, and other decorative elements offered by Houmas House make the venue shine. Kevin enjoys taking newcomers around the property, and he often arranges to meet brides and grooms personally and give them a first-class tour of everything Houmas House has to offer. The standard wedding package includes four hours on property and the services of a concierge Wedding Liaison. The team works closely with couples to select well-reputed vendors and ensure the big day goes smoothly. They even give “homework” to the brides and grooms to help them understand the day-of logistics and wedding services available at Houmas House. Many couples choose to get married under the sweeping branches of the oak trees in front of the mansion and hold their receptions in the covered pavilion. Houmas House has an old cathedral bell on hand to help kick off the ceremony and announce the bride’s entrance. This Houmas House tradition gives couples the chance to honor someone who’s important to them by asking them to ring the bell. Cecily told us one wedding brought tears to everyone’s eyes because the bride’s father had died before the big day, but his best friend was there to ring the bell in his stead. Cecily has been working at Houmas House since 2005, and she estimates that she has personally handled over 550 weddings on the property. The current event liaison has over 300 weddings under her belt. 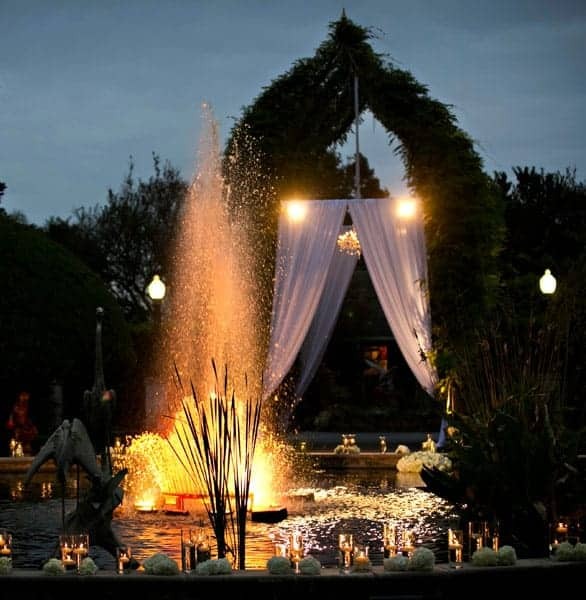 Their combined experience and intimate knowledge of the property help facilitate a wonderful and stress-free wedding. Houmas House Plantation currently boasts a 4.8-star rating on WeddingWire and has received recognition as The Knot’s Best Weddings of 2011. Many of these reviews rave over the beauty of the venue and the friendliness of the staff. Many members of the staff have been with Houmas House since the beginning and have made special memories of their own on the property. For instance, Cecily’s two daughters married at Houmas House in 2008 and 2016. Houmas House offers both casual and fine dining options on property. Its five-star restaurants aim to provide a farm-to-table experience featuring nothing but the freshest local ingredients. The Carriage House Restaurant is a particular favorite among couples planning a special date. Couples can book a reservation and treat themselves to an elegant date night at the Carriage House Restaurant. The Inn at Houmas House has an old-world charm and simplicity that makes guests feel right at home. The plantation currently has 21 overnight rooms available in its cottages, which are situated on a tranquil spot just downriver from Houmas House. These rooms are mere steps away from the gardens and offer a delightful getaway for couples hoping to unplug and reconnect. In 2019, Houmas House will open the Great River Road Museum and Interpretive Center, a 25,000-square-foot museum on life on the Mississippi, and the team will complete construction on an amphitheater where guests can one day enjoy an outdoor concert. Whether he’s conducting a personal walking tour of the grounds or overseeing the construction of dancing water fountains, Kevin takes pride in ensuring that every detail contributes to the grandeur and beauty of Houmas House. The quaint atmosphere at Houmas House has captivated the imaginations of countless singles, couples, and families. Whether you’re walking down an oak-lined wedding aisle or sitting on rocking chairs watching the world go by, Houmas House provides a splendid setting for the romantic moments in life. Once you set foot on this picturesque property, you’re sure to fall in love with it — just like Kevin did all those years ago. Since it opened to the public, Houmas House has established a reputation for its natural beauty and sophisticated charm, and the Southern plantation’s breathtaking wedding events have created a legacy that will last for generations to come.